Lovinia joined ELI in September 2017. Her work at ELI involves researching food waste alternatives and social impact assessments for fisheries. Before joining ELI, Lovinia attended Brown University where she received a B.S. with honors in Geology-Biology. 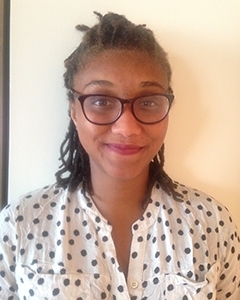 As a Mellon Mays Undergraduate Fellow, Lovinia conducted research on the recuperation of nutrient cycling in tropical secondary forests in Bahia, Brazil. Lovinia has also coordinated workshops for Moving Mountains, an environmental justice education group, and worked on issues of gentrification and food accessibility at the University of Miami Environmental Justice Law Clinic and at the Michigan Urban Farming Initiative.